The 9 inch operation panel provides user friendly interface and intuitive operability. 4 hard menu keys at the bottom of the panel and the on-screen soft menu keys can allow user to register up to 9 commonly used functions such as copy, scan/fax, preview or soft numeric keypad. Text boxes, icons, or GIF animations can be posted on the MFP operation panel like the sticky notes. These can be used to display office communications, MFP usage rules, or warnings. 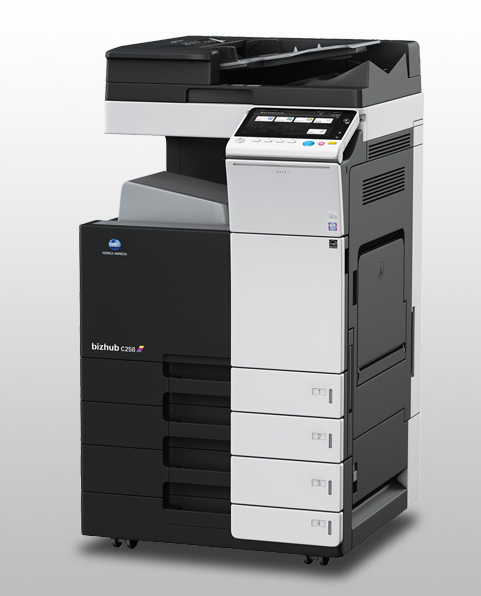 The bizhub C368 series adopts the easy and intuitive INFO-Palette design and smart user interface. To ensure, to always provide the same user experience in any business situation through the seamless operation no matter from the PCs, tablets or smartphones.